How Far is VMAKS Heights? Upgrade your life with a home that gives you luxury, high standard of quality and more to enjoy a tasteful living. 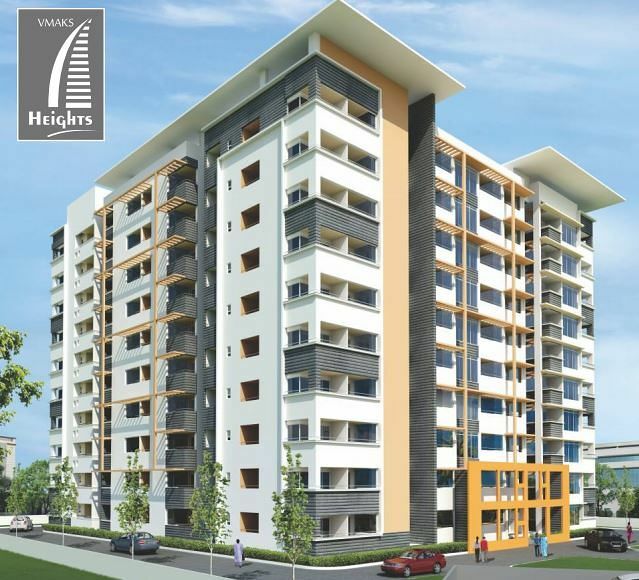 VMAKS Heights is a perfect home built with high specifications. Erected on off Hosur Road which is close to Biocon, it is the best location that gives high returns. 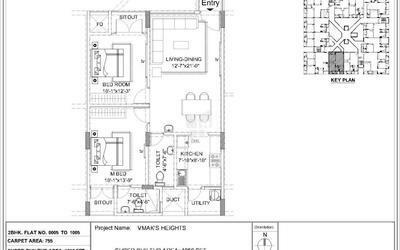 This residential project is constructed in science zone ll complaint RCC framed structure that consists of G+9 floors with 2BHK and 3 BHK apartments. Coupled with outstanding facilities to let pursue good health, modern lifestyle with green landscaped gardens, Swimming Pool, Gym, Indoor Games, Jogging Tracks, Children's Play Area for keeping those busy bees really busy, party Hall and more, you will find living at VMAKS Heights home is more inspiring and makes life more exciting every day. In addition, amenities such as security, lift, power backup, rainwater harvesting, 2 wheeler parking, sewage treatment plant and bore well are provided for daily comfort. It is uniquely designed with well-crafted interiors to suit any family. 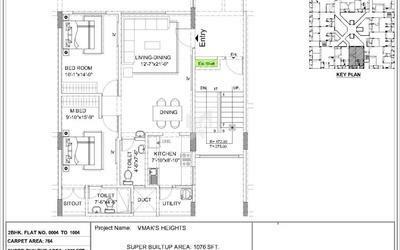 The kitchens are provided with wide 2ft granite platform, sink, drain board and ceramic tile dado. Each room at VMAKS home is beautifully finished with premium vitrified flooring, while the staircases and lobbies look striking in granite flooring. Windows and doors are all done with superior quality. Furthermore, internal walls are plastered with lime finish and external walls come with sponge finish. OC yet to be recieved. 1BHK Units are Sold Out. 2BHK Available units are 1056, 1076, 1089, 1221 & 1233 sqft, other units are sold out. 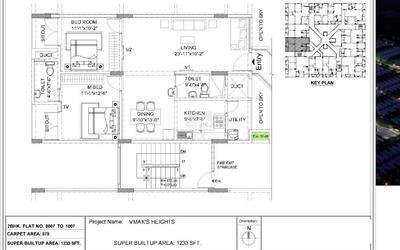 3BHK Available units are 1719 & 1836 sqft, other units are sold out. All the buildings are G + Nine upper floors of science zone ll complaint RCC framed structure. All wals solid block masonry walls. External walls will be plastered with sponge finish. Internall doors and balcony doors will be of salwood frame with molded shutters. Three track aluminum windows with mesh shutters. Door/Window will be of sliding three tracks aluminum windows with mesh shutters. Digital Ceramic tiles for walls & Floors in Toilets. Granite or Equivalant for Stairs case, Lift & lobby's. Heavy Duty REGENTO Vitrified tiles for corridors. Will be provbided with 2ft wide Granite platforms with Sink & drain board & 2ft Dadoing of Ceramic tile above the granite. Power supply of each 2BHK apartment to have 3KVA and 3BHK apartment to have 5KVA. Under Ground Tanks & over Head Tanks with Bore wells & Pumps will be provided. Three 8 passengers lifts of isi make with power backup. Car park facility will be in the lower and upper basement floors on ownership basis. Sprinkler systems for car parking and common areas. Addressable Fire detection and alarm system.